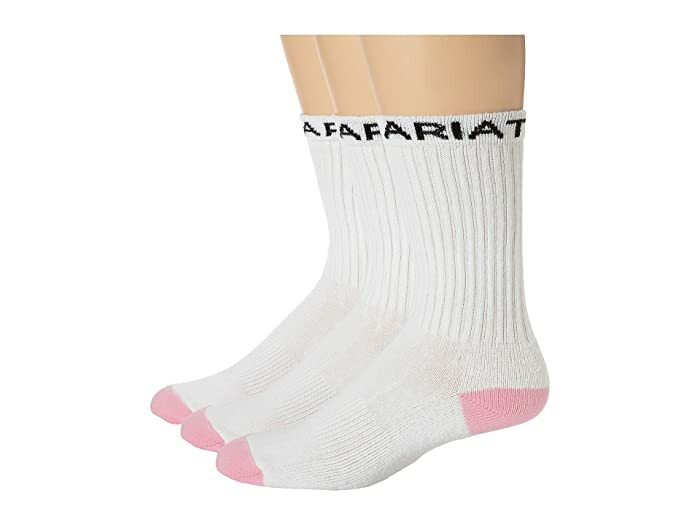 Perform at your best while staying comfortable with the Ariat Crew Sport Sock 3-Pack. Elastic cuff helps keep the sock in place when you are on the go. Reinforced heels and toes deliver added comfort and improved performance. 69% cotton, 20% polyester, 10% nylon, 1% spandex.